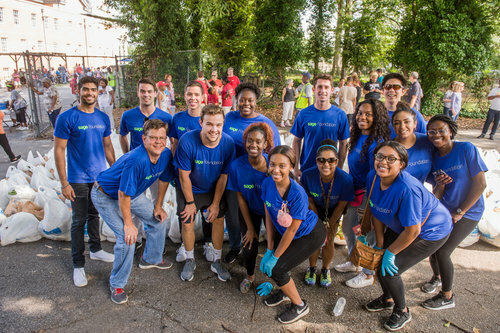 We help create lifelong volunteers by igniting their passion for service and connecting them to agencies that are addressing pressing needs of the community. Figure out what problem you need solved and how volunteers can help. Gain access to a ton of services, support, and of course...volunteers! Post your project, manage your volunteers, and access reports. "Our relationship with Hands on Atlanta has changed how people see us in the community. We are now well known and a highly sought after volunteer opportunity. It's amazing!" The Parntership with Hands On Atlanta helped us recruit extra volunteers for our weekday plant guardians program. Hands On Atlanta provides excellent technical support! We're proud to partner with Verified Volunteers, the only background check platform tailored to the specific needs of service organizations. Verified Volunteers is designed to make volunteer screening faster, easier and less costly for nonprofits and volunteers themselves.